The Dynamic Duos are Celebrating a One Year Anniversary! 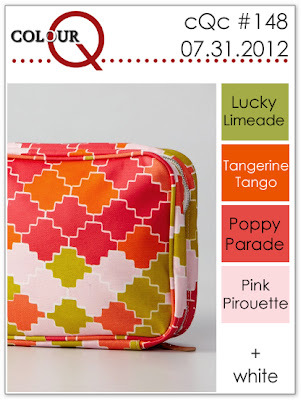 To celebrate they are asking us to create a project using one of our PAST COLOUR COMBOS. 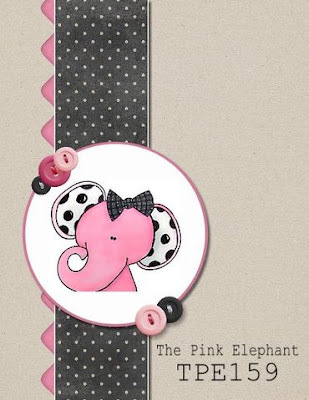 Pink and Black look amazing together…don’t ya think? I decided I liked it so well that I would do it again with some sentiment changes! I decided to go outside and take the photo for a change…since I still had daylight! and CONGRATS to the Dynamic Duos for there one year Anniversary! I love your Challenges! 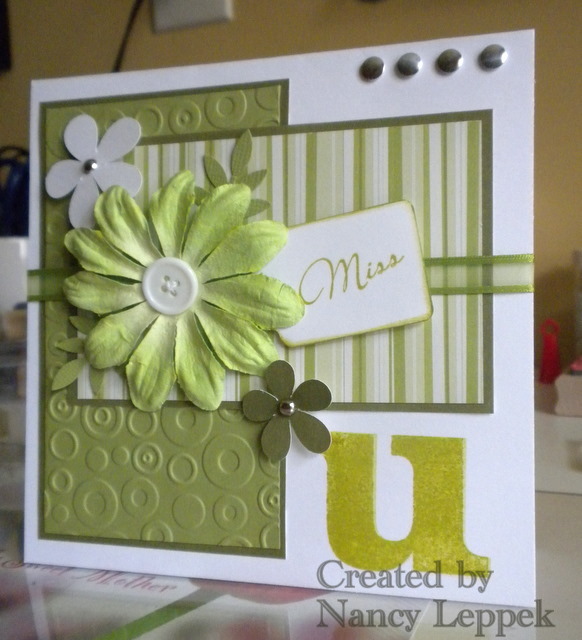 Categories: Cards, challenges | Tags: Card making, Cards, color challenge, miss you, rubber stamps, Stamp TV, Verve Stamps | Permalink. 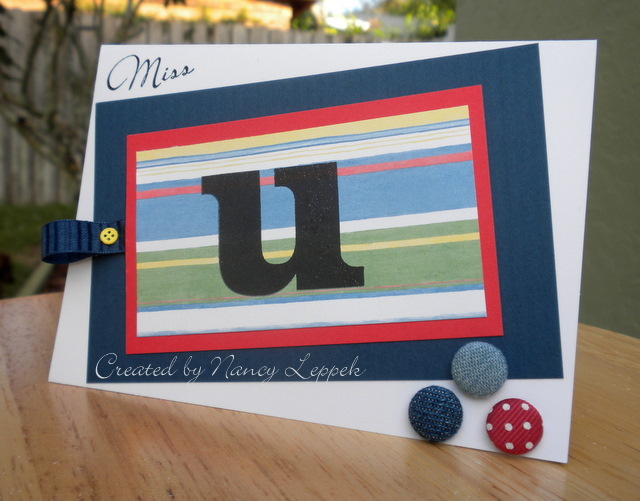 I made this card this afternoon after I completed the usual Saturday chores. Love when you get and idea and things come together! I am going to enter it into three different challenges. 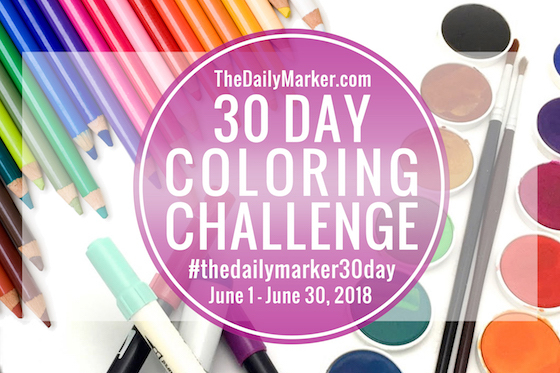 First, the sketch challenge over at iSpy Sketches and Secondly, the color challenge over at CR84FN. And Last its for the Any Hero Challenge over at OWH. If you are not familiar with OWH…go check it out! It’s an amazing way to say Thanks to the Troops!! Let me tell you a little bit about how it came together. Once I picked out the DP (Creative Memories) and the colored card stock which is a mix of CM, SU and Bazzil I took my star stamp from SU and stamped on the tan card stock. Then I added some distressing with SU Chocolate Ink. Used my Cricut to cut out most of my stars along with a SU scalloped punch. Made the ribbons with scissors and the sentiment is from Verve and is called Heartfelt Phrases. 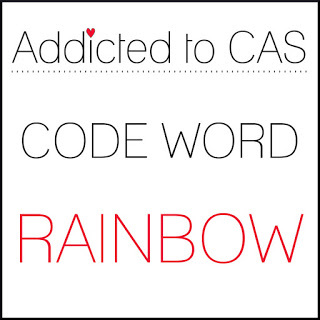 The tag die cut is from My Favorite Things. Finished it off with a button and some twine and Wolaaaa! Hope you have a great Sunday…It’s time to watch some Football…GO FSU!!!! 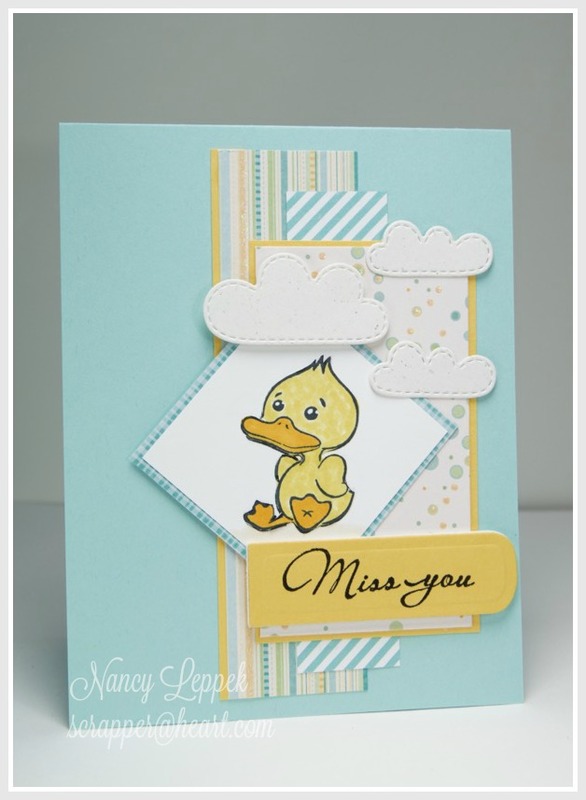 Categories: Cards, challenges | Tags: Card making, Cards, color challenge, Creative Memories, Cricut, miss you, OWH, rubber stamps, sketches, Stamping Up, stars, Verve Stamps | Permalink. 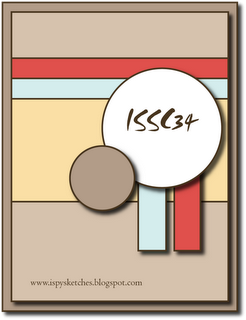 The card today was inspired by the color challenge from ColourQ and the sketch from The Pink Elephant. 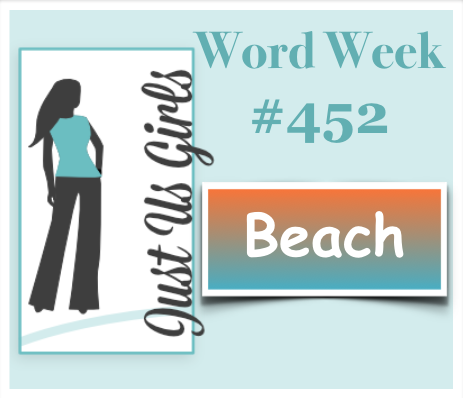 The sentiment is from Verve and it’s called You and I. I am so enjoying these new wonderful challenge blogs I have found. Go check them out and see for yourself how Fab they are! Thanks as always for your visits! Back to the Olympics..GO USA! 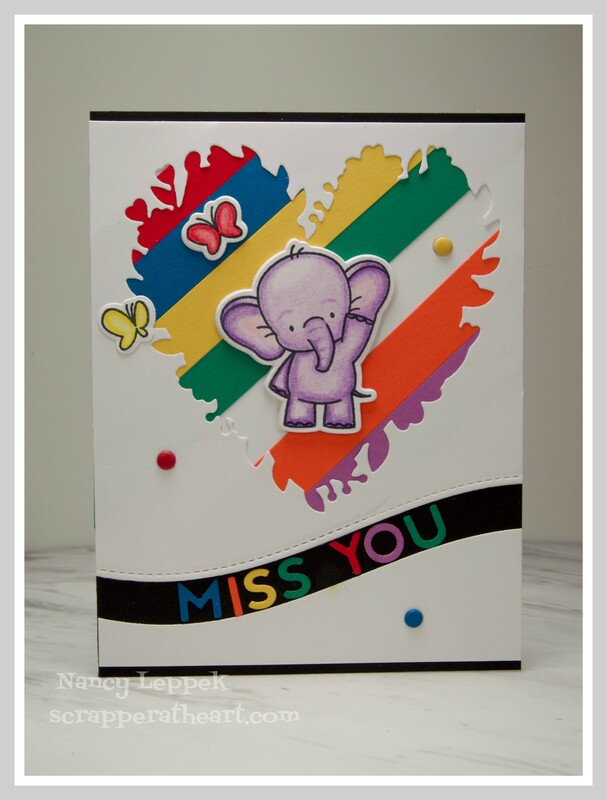 Categories: Cards, challenges | Tags: Card making, Cards, color challenge, miss you, rubber stamps, stamping, Verve Stamps | Permalink. Hello stamping friends! 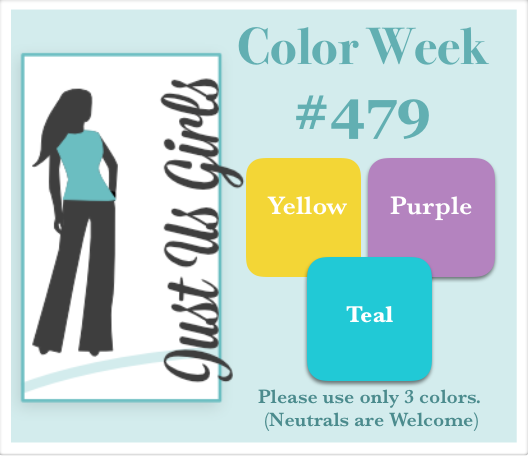 The card I have for you today is for the weekly Color Throwdown. The colors were easy to work with especially when you find a piece of paper with all of them in it! LOL I love my new stamp set from Verve ….You and I !! This card is headed to my son, to cheer him as he heads into exam week at College! Thanks so much for stopping in, I just love when you do! 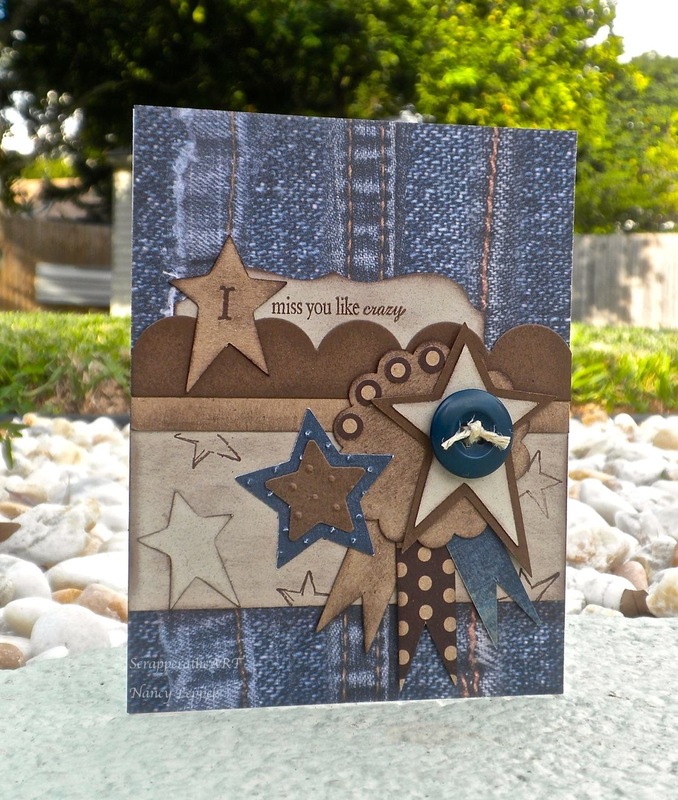 Categories: Cards, challenges | Tags: Card making, Cards, miss you, rubber stamps, stamping, Verve Stamps | Permalink. 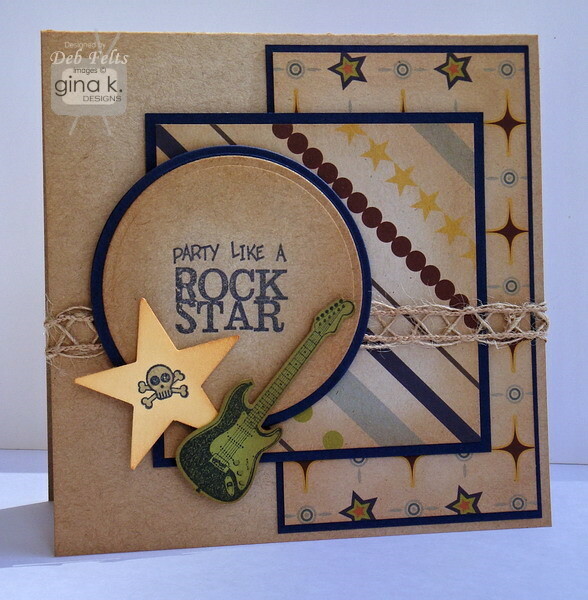 Over at Stamp TV the challenge this week was to Case the Design Team member Deb Felts. I kept the layout almost the same just flipped it left to right, replaced the twine with ribbon. I also got to ink up my new Verve stamps You and I…love this set! Here is Deb’s card that I cased! I love the layout and the DP she used! 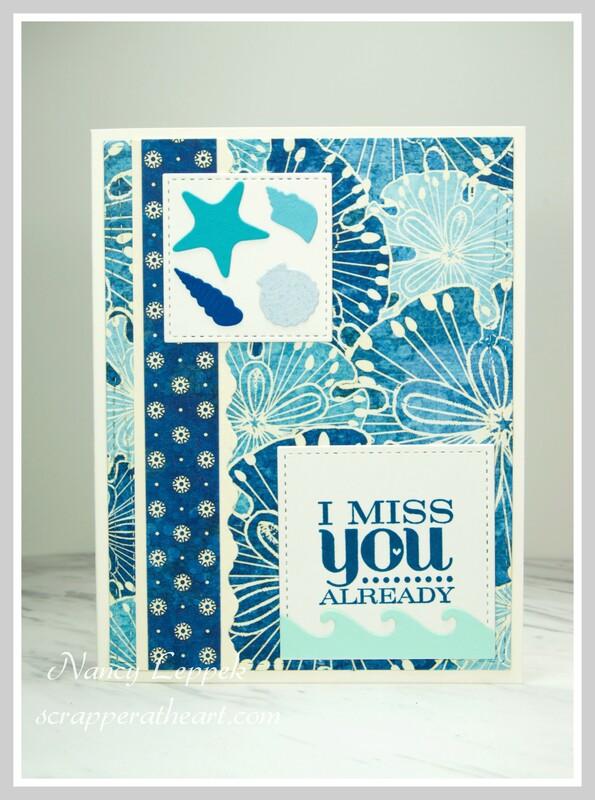 Categories: Cards, challenges | Tags: Card making, Cards, cuttlebug, Flowers, Gkd, miss you, rubber stamps, Stamp TV Challenge, stamping | Permalink.